New York Comic Con is just a week away, kicking off Thursday, October 4, and that means there will all sorts of awesome merch to grab! If you're at NYCC, you will definitely want to head to the Marvel booth, where you will find a bevy of t-shirts, pins, and much more! Let's start off with comic books! The Marvel booth will a special Mondo variant of SPIDER-GEDDON #0 and a J. Scott Campbell Glow variant for RETURN OF WOLVERINE #1. 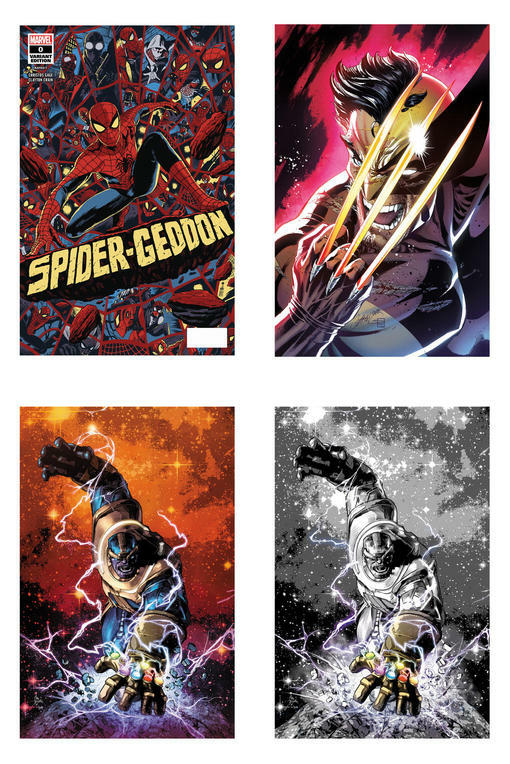 Plus there will be two versions of a Mike Deodato THANOS LEGACY #1 variant - both in color and black and white. 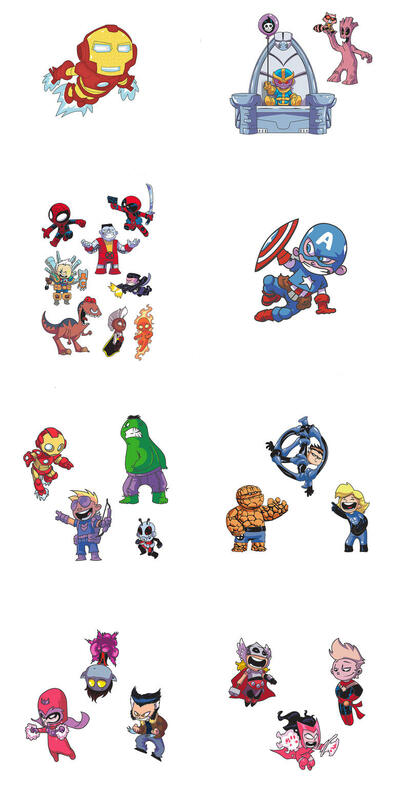 On the ever-popular pin front, there's many options available, including sets devoted to the Avengers, Fantastic Four, X-Men, and the Women of Marvel. 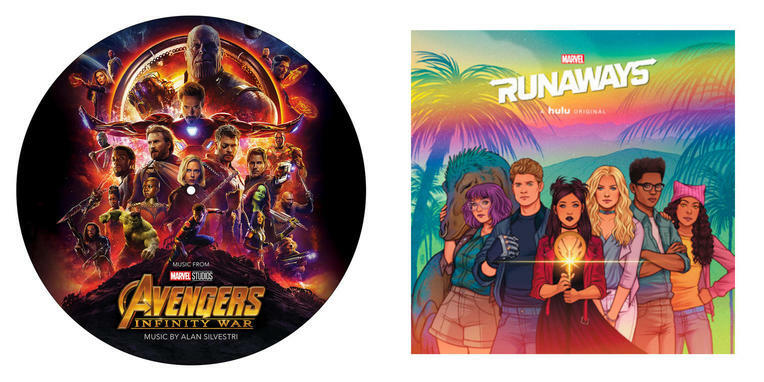 If you're looking for some music to listen to, the Marvel booth has you covered with two different vinyl releases, including the Marvel Studios "Avengers: Infinity War" Picture Disk and the "Marvel's Runaways" Soundtrack. But that's not all! 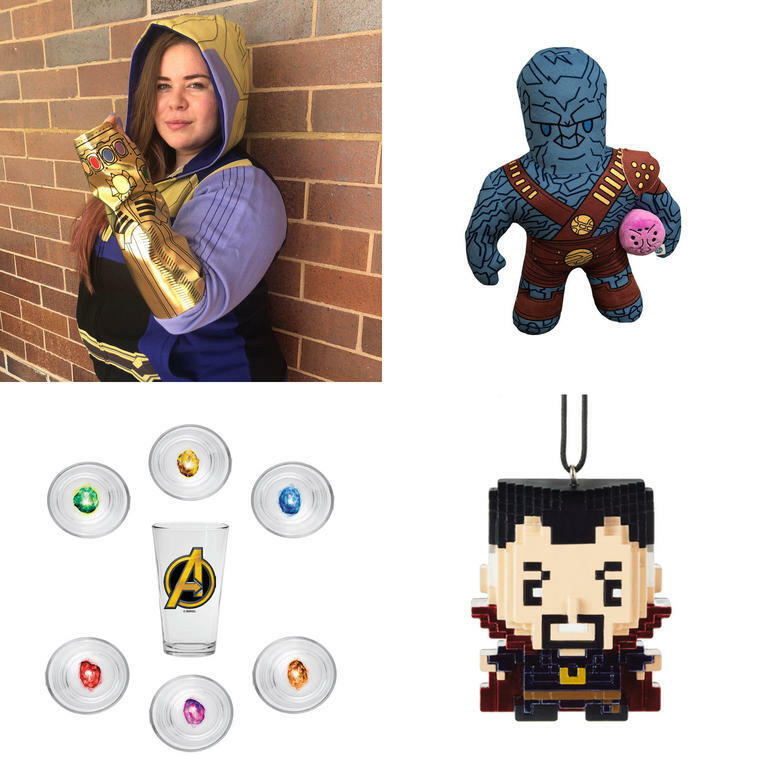 There's several other fun items available, including gear fit for a Mad Titan with the Thanos Deluxe Costume Hoodie, a Korg & Meik 12" Plus, an Infinity Stone 6 Piece Tumbler Set, and a Hallmark Doctor Strange 8-Bit Ornament. And if it's shirts you seek, don't worry, Marvel has you covered - literally, once you put on one of these shirts! From a Captain Marvel Pager to Little Groot to Venom to The Punisher to the original X-Men, there are a ton of cool designs featuring some of your favorite Marvel characters and concepts. 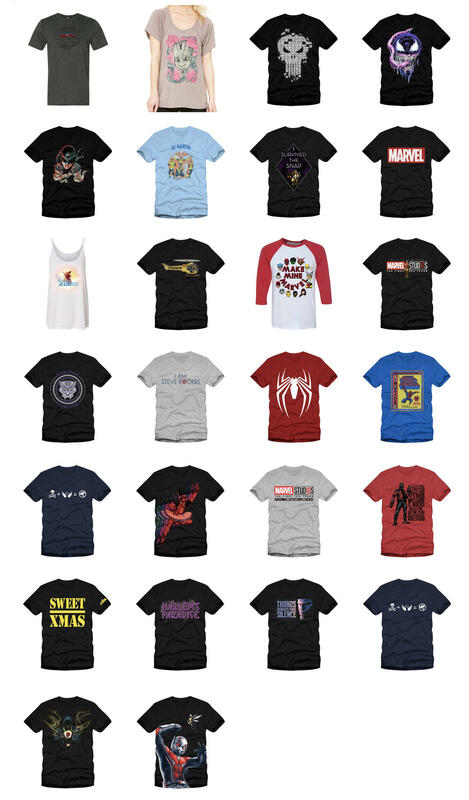 Check out all of the shirts available at the Marvel NYCC booth below! For the full list of all of the items available at the Marvel New York Comic Con booth, and to see prices, you can download the catalog now! New York Comic Con runs October 4-October 7. For more, check out Marvel.com's NYCC hub page!